Social Work’s Dr Susan Baidawi has been awarded an Australian Research Council DECRA Award for a study investigating the phenomenon of children who cross over from statutory child protection systems into youth justice systems. Through an analysis of Children’s Court files and international policy, this study will generate new knowledge regarding the characteristics and trajectories of crossover children. The findings will inform novel and effective approaches to preventing and responding to the drift of children from child protection into youth justice systems, improving social and economic outcomes for young people and the broader community.And finally for the Social Work department, Melissa Petrakis has recently been elected to the Board of Tandem, the peak body for mental health carers in Victoria. This appointment is testament to Melissa’s research in the area of carer responsive practice and practice-based research, and for recruiting and nurturing HDR study in this area. The Department of Social Work’s Emeritus Professor Chris Trotter, Professor Rosemary Sheehan and Professor James Ogloff from Swinburne University have recently been awarded an ARC Linkage Grant in partnership with NSW Juvenile Justice. The project aims to examine the effectiveness of an innovative NSW government program which seeks to enhance the safety and rehabilitative culture of juvenile detention centres by increasing staff interpersonal skills through specialist training, coaching and supervision. The study is significant because little research has been done on this issue and it is an issue of urgent community concern as exemplified in recent government inquiries. Expected outcomes include a template for good practice in detention centres in Australia and internationally. The results can lead to improved practices in youth detention with benefits for this highly disadvantaged group of young people and in turn for community safety. 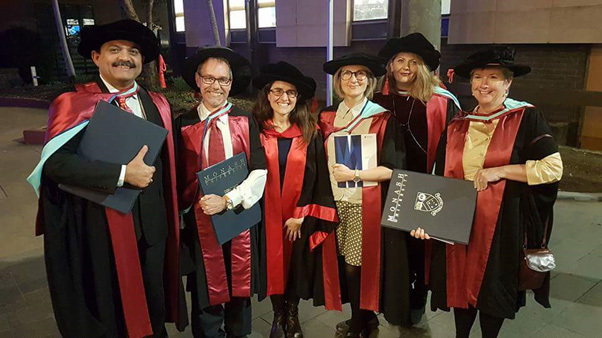 In late May, the Social Work department graduated 3 new PhDs: photographed from left: Dr Josy Thomas, Dr Euan Donley and (far right) Dr Wendy Rollins. In the centre are proud Department of Social Work colleagues Dr Melissa Petrakis (main supervisor for Josy), Dr Catherine Flynn and Dr Samone McCurdy. Josy Kadavil Thomas' thesis is titled: "Family Burden and Social Support in Mental Illness: A Comparative Study in Schizophrenia and Mood Disorders". Euan Robert Donley's thesis is titled: "Risk Assessment and Management of Psychiatric Patients in the Emergency Department during a Mental Health Crisis" (Main supervisor Professor Rosemary Sheehan). Wendy Elizabeth Rollins' thesis is titled: "Social work - client relationship practice: exploring social worker perspectives" (Main supervisor Dr Deborah Western). Associate Professor Philip Mendes, Dr Bernadette Saunders and Dr Samone McCurdy from the Department of Social Work, with Dr Rachel Standfield from the Monash Indigenous Centre have received a grant worth $128,462 from the Trustees of the Sidney Myer Fund to support their Indigenous Care Leavers in Australia: A National Scoping Survey project. VICSERV is the peak body for the Mental Health Community Support Sector in Victoria. The organisation publishes a newsletter called 'Factsline' and a peer-reviewed journal called 'newparadigm'. In June 2017 the newparadigm Journal Editorial Group put out a Call for Abstracts for the Spring/Summer edition of the journal. The edition set out to explore 'leading edge sector and consumer led research as it is applied to mental health and cross sector approaches to practice'. This was exciting to me since many of the HDR students in the Social Work Department are pursuing practice-based research and are mid-way through their candidature - potentially with results to share of relevance to the field for practical application; so there is a wonderful sense of immediacy in sharing findings with the field with this opportunity. A number of the research initiatives presented in this edition focus on building capacity in order to improve practice and outcomes: a research collaboration between Nexus, Neami National and Monash University resulted in the development of a new approach to dual diagnosis capacity through the provision of training to improve dual diagnosis practice. In this research a dual diagnosis package – the Reasons for Use Package – employed a mentoring component, which assisted in confidence and knowledge following the training. Another strong theme in the research showcased is around innovative models: Mayio Konidaris and Dr Melissa Petrakis outline the delivery of training on ‘cultural humility’ to enable mental health workers to critically reflect on their own values, attitudes and behaviours when working with culturally diverse consumers, carers and families. The evaluation of this innovative approach to improve assessment and recovery outcomes for people from culturally diverse communities found there were benefits to be gained at both individual worker and organisation levels, as well as for practice. Also around innovative models: After identifying that half the number of people who were admitted to in-patient units through Emergency Departments were first time admissions and that half of those people experienced seclusion, an innovative pre-admission liaison program was established at St Vincent’s Hospital in Melbourne, using a peer worker as a central component of the intervention. Although the project drew on a small sample, it identified and confirmed that participants valued being informed, having contact with people who have a shared experience and having safe and positive links in the ward. Across the research themes there is a focus on consumer perspectives as well as active participation in research: Researchers from Monash University, in collaboration with Ermha, analysed the feedback from women who accessed Victoria’s first women-only Prevention and Recovery Care (PARC) service, to inform further development of the program. The research found that residents had overwhelmingly high satisfaction levels with the program. This and other benefits identified from the model strengthen the calls for more women-only PARCs and other gender specific programs. We welcomed 2018 with our first HDR conference for the year, and it was most successful. Many thanks to those who attended, presented, and completed milestones. All these contributions added up to make a stimulating and enlightening conference. We welcomed new HDR students Laura Coady, Simon Kroes, Margareta Windisch, Jan Kilicaslan, Ali Walker, Matthew Jackman. Thank you for telling us about your proposed studies, and Laura we look forward to hearing about yours in June. Dr CristinaKeightley, Faculty Doctoral Program Coordinator, explained the requirements around the Monash Doctoral Program, the inclusion of Professional Development in the myDevelopment portal and what is required from you as HDR students. The expectation is now that you complete 120 hours of professional development. We would aim to have you complete as many hours as you can at the HDR conferences but there will be additional modules you can undertake to meet the target, and to extend your areas of interest. We had a range of expert presentations, which covered the research trajectory. Many thanks to Dr. Samone McCurdy, Professor Chris Trotter, Associate Professor Fiona McDermott, Dr. Cathi Flynn, Dr. Melissa Petrakis, Dr. Uschi Bay for their insights and workshop facilitation. Many thanks also to Dr. Bernadette Saunders, Dr. Deb Western, Dr. Lousie Oliaro, Associate Professor Philip Mendes for their carriage of the milestone panels. The move to online recording is another learning hurdle for us all, and we thank them for their commitment to this key aspect of the doctoral process. We are indeed fortunate to have such committed and engaged staff. Many thanks to Debbie Ling, Sharon Alexander, Mayio Konidaris, Zhaoen (Penny) Pan, Steven Roche, Barbara Baikie, who all presented milestones. There is a lot of planning that goes into these, and we thank them for sharing their research outputs with us and for the careful attention to what is needed for the milestone presentation. I have re-written what are Social Work hurdles for each milestone, and they should shortly appear on the Departmental home page. A vote of thanks to Dr Neil Diamond who offered the quantitative methods workshop. The next conference is 21 and 22 June, 2018. Associate Professor Fiona McDermott will lead this conference, I will be on sabbatical. She and I will shortly sit down to plan this conference. Steven Roche and Dr. Susie Baidawi are starting a monthly Social Work Departmental journal club for staff and research students. The idea is to discuss a journal article (contemporary or classic) relevant to the work and study of members of the Department of Social Work. The first meeting is 14 March, 2018 at 12 noon-1pm, in C4.45 (the staff room). Each month a different person can nominate to choose the article for discussion. All staff and students are welcome! Let’s all support this wonderful opportunity! In recent years, there has been a growing understanding of the important role of fathers in the lives of children and families and the impact of absent fathers. One group of fathers who remain overlooked however, are those serving a term of imprisonment. bringing together a range of international scholars and practitioners working in this area. 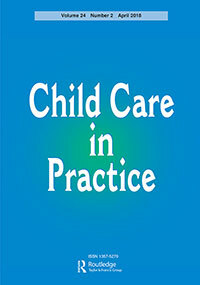 The result is the recently published special issue of Child Care in Practice, a multidisciplinary journal providing an international forum for professionals working across a range of fields of practice related to children. This special issue, guest edited by Catherine and Michelle, brings together scholars from Australia, Ireland, Northern Ireland, Scotland, Norway and the US. It highlights the challenges of working at the intersection of child and family welfare and correctional/penal systems, but also provides examples of good practice when working with fathers. One of the articles is co-authored by a current Social Work PhD student Tess Bartlett; it reports on one of the very few studies examining what happens to children when their father is arrested. It highlights the unique challenges for these families and makes clear recommendations for improving our responses. The journal also includes a book review of ‘Everybody makes mistakes: living with my daddy in jail’ written by Madison Strempek when she was 10 years old (Having had the pleasure of meeting Maddy when she presented at the International Coalition for Children with Incarcerated Parents in NZ last year - I can also recommend the book). Dr Melissa Petrakis from the Department of Social Work presented last month at the annual Mental Health Services conference (TheMHS) for Australia and New Zealand. She was invited to share a presentation: 'Enhancing responsiveness to family violence in front line mental health'. For the last 18 months Melissa has led a project in the field with the aims to determine and implement the best evidence-based practice tool for family violence identification and response in public mental health service contexts. Social work colleague Dr Deborah Western has acted as a research mentor to the project due to expertise in family violence identification and response. The method has been to create a staff training/briefing package and identification and response resource – a “prompt card”, wearable on the staff lanyard, alongside the ID card, for ready reference. Melissa and colleague Meg Buck from St Vincent's Mental Health Service, reported on trialling this training/briefing package and identification and response resource in a clinical service setting. The audience was very excited regarding transferability and utility to various urban and regional contexts. 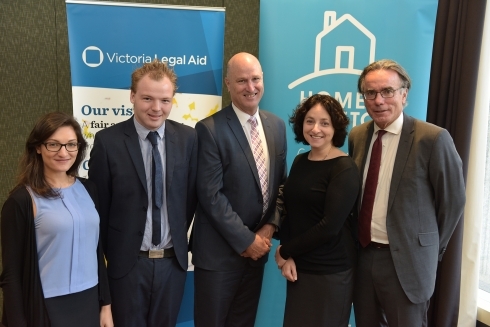 Susan Baidawi from the Department of Social Work recently spoke at the Victorian Legal Aid breakfast. Susan spoke about Australian and international laws for out-of-home care and how Victoria is placed. She highlighted that this reform focused on a relatively small number of young people, making it affordable and realistic to implement. Late in 2016, The Department of Social Work’s Associate Professor Philip Mendes launched his book “Young people transitioning from out-of-home care: International research, policy and practice” co-edited with Pamela Snow from LaTrobe University. 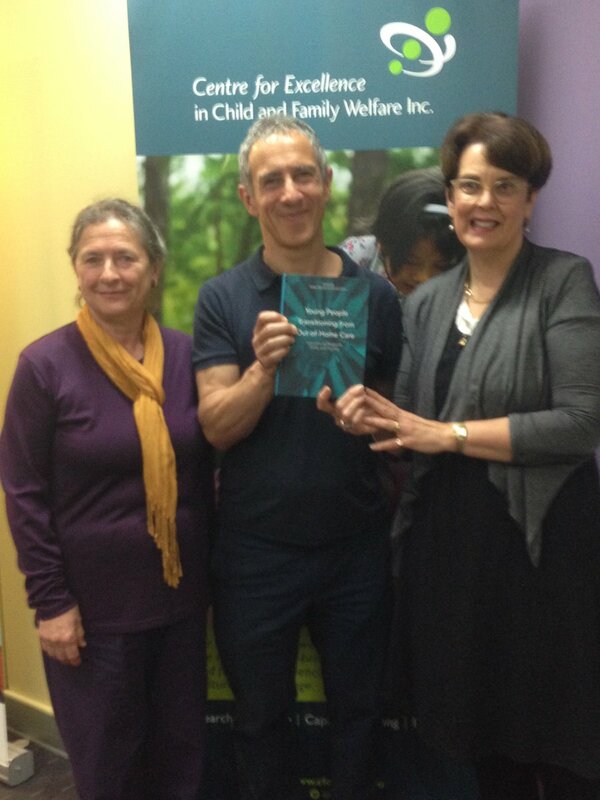 Professor Dorothy Scott from UniSA launched the book for Pamela Snow and Philip. A wonderful achievement. Philip Mendes and colleagues have published the monograph titled 'Jewish Communal and Institutional Responses to Child Sexual Abuse: a Critical Review of the Literature'. Download pdf file. Associate Professor Philip Mendes has recently completed two new books. They are: Young people transitioning from out-of-home care: International research, policy and practice co-edited with Pamela Snow, and published by Palgrave Macmillan in October 2016, and a third edition of his well-known social policy textbook, Australia’s Welfare Wars, to be published by UNSW Press in December 2016. Additionally, he has commenced writing a new book titled Empowerment and Control in the Australian Welfare State: A critical analysis of Australian social policy since 1972 to be published in late 2018. 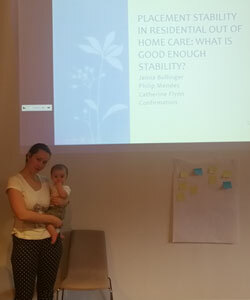 Philip is also a regular invited keynote speaker to academic and policy forums on young people transitioning from out-of-home care, and more generally the future of the welfare state. Recently Charles Sturt University celebrated 25 years of social work education and its ongoing commitment to the provision of social work to rural and regional areas. The head of the Social Work Department, Professor Margaret Alston, was invited as a keynote speaker to present an overview of the development of social work at the university and across the region. Professor Alston, who began her academic career at CSU, was a critical figure in the development of the program in 1991. While she had been part of the social welfare program previously on offer, the move into social work was facilitated by the commitment and foresight of a small group of CSU academics and local social workers. The group overcame a number of challenges before the program was approved by the university, the professional body and the wider social work community. The program captured the imagination of local people and was from its beginnings a very popular program. Hundreds of social workers owe their education to CSU and many attended the 25 year celebration. Professor Alston went on to be appointed Professor of Social Work at CSU in the early 2000s before relocating to Monash in 2008. The celebrations were a fitting tribute to her contribution, to the ongoing commitment to social work at CSU and to the widespread community support across the regional areas served by the university. Congratulations to the Department of Social Work’s Philip Mendes who has been busy writing two books. “Young people transitioning from out-of-home care: International research, policy and practice”, is co-edited with Pamela Snow from LaTrobe University, and published by Palgrave Macmillan, October 2016. The book is to be launched in December. His second book, titled “Australia's Welfare Wars 3rd edition”, published by New South Press, is due to be released in February 2017. A great effort Philip! Academic Dr Melissa Petrakis has won a research award in the 2016 TheMHS Awards program for service to mental health. Dr Petrakis won The Tom Trauer Evaluation and Research Award. It was given in recognition of Academic mentoring, collaboration and co-production in mental health services research. It was one of eight Awards made in the Service and Program categories, three for Exceptional Contribution, three for research and four for Media. 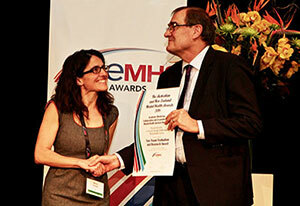 The Award was announced last month at the Annual TheMHS Conference held this year in Auckland, New Zealand. Kevin Allan, Mental Health Commissioner, Office of the Health and Disability Commissioner, New Zealand, presented Dr Petrakis with her award. 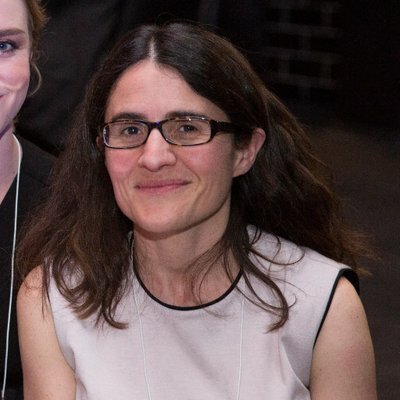 It acknowledges excellence in the way Dr Petrakis approached research and championed co-design, co-production and co-authorship, with an emphasis on questioning and learning together, combined with respectful mentoring. 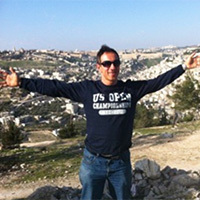 Dr Petrakis has worked in mental health services and programs for 20 years, the first decade as a clinician and the second as a practice-based researcher. She has engaged in extensive collaborative research with people with lived experience of mental illness and their families, with interdisciplinary staff within clinical services, and with programs and staff across the community support services sector; evidenced by 37 publications (including 16 as first author). She has delivered over 60 national and international conference presentations. Her strengths-based mental health research contributed to a Silver Award at TheMHS (2011) and 'Highly Commended' at the Victorian Public Healthcare Awards (2011); and the co-production approach received a 'Special Judges' Commendation' at TheMHS (2013). The MHS Awards are presented every year by TheMHS Learning Network to recognise and encourage best practice, excellence and innovation in mental health service delivery. The Awards have been made annually since 1992. The MHS Conference is the largest mental health and addiction services conference in Australia, New Zealand and the Pacific. TheMHS aims to promote positive attitudes about mental health and mental illness, and to stimulate debate that challenges the boundaries of knowledge and ideas about mental health care. Congratulations to Professor Margaret Alston who has recently published a new book. 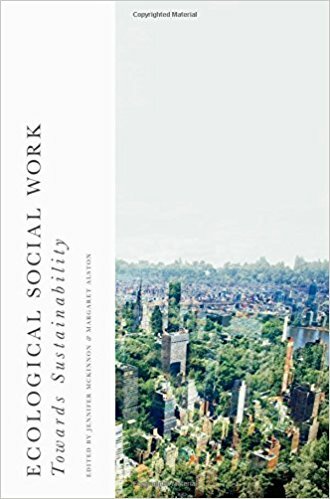 "Ecological Social Work Towards Sustainability" challenges social workers to rethink the significance of environmental factors on wellbeing. It introduces notions of sustainability, social development, social and environmental justice, and includes chapters from leading social work writers across the globe who are writing about environmental justice in the context of their own countries and circumstances. The book draws together the framework for social work practice that acknowledges the global challenges resulting from climate changes and environmental disasters. 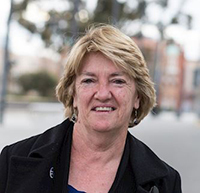 Professor Margaret Alston recently attended the National Climate Adaptation Conference hosted by CSIRO and the National Climate Change Adaptation Research Facility (NCCARF) at the national convention centre in Adelaide. The conference brought together scientists, social scientists and various other disciplines to discuss the latest research on climate change. 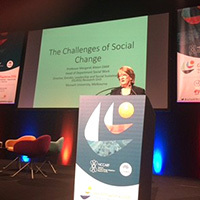 There were approximately 2000 attendees and Margaret’s contribution was to give the plenary keynote on social implications of climate changes. 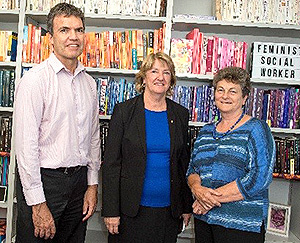 The Department of Social Work recently opened the Robyn Mason Library in honour of Robyn, who recently donated her professional library to the staff and research students. Dr Robyn Mason joined the Department of Social Work at Monash in 2009 after a career which involved secondary teaching, social work practice and community development in rural Australia and overseas. Robyn’s focus was on women and the services they used, sexual assault and other violence against women, Aboriginal and Torres Strait Islander communities, rural practice and feminism. 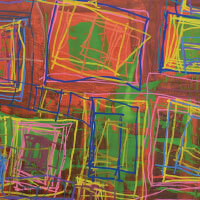 Prior to teaching at Monash, Robyn had taught and researched at the University of Ballarat (now Federation University), the University of Melbourne and at Charles Sturt University. An unyielding commitment to human rights and social justice have guided Robyn’s practice and the way she has lived her life. Robyn’s passions have been her teaching and watching students learn and develop into confident, knowledgeable social work practitioner-researchers. Books and literature have also been central in her life and over many years she has built a magnificent collection of texts, reports and foundational documents. The Social Work department are delighted to have this amazing resource and to have a room dedicated to feminist social work study and quiet reflection. 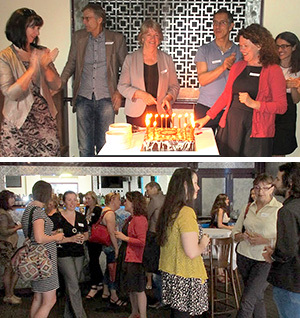 The first social work Alumni event for 2016 was held March 3rd at the College Lawn in Prahran. It was a great opportunity for people to network, catch up with former colleagues and staff and to meet new Alumni and social work departmental staff. A number of past students and staff from across the 42 years of Social Work at Monash attended the event. Everyone was officially welcomed by our Head of Department Professor Margaret Alston. Professor Christopher Trotter entertained us all with a most amusing presentation about the research he has been undertaking over the course of his career, and Dr Grace Brown spoke about the opportunities associated with becoming a field educator. We celebrated the 42nd year of social work at Monash with a magnificent cake, blew out the candles and at the suggestion of past students present, we sang Happy Birthday. After the formalities Alumni and staff spent a pleasant time chatting over wine and canapes, with soft live music in the background. Report on "The Impact of Incarceration of Children's Care: A Strategic Framework for Good Care Planning"
Rosemary Sheehan, Professor in the Department of Social Work has been appointed to the ARC College of Experts. Rosemary Sheehan, Professor in the Department of Social Work has been appointed to the ARC College of Experts. The College plays a key role in identifying research excellence in the ARC National Competitive Grants Program, moderating external assessments and recommending fundable proposals. The College also assists the ARC in recruiting and assigning assessors and in implementing peer review reforms in established and emerging disciplines, as well as interdisciplinary areas. She has also recently been appointed to the Editorial Boards of Australian Social Work and the Howard Journal of Crime and Justice (UK), the Journal of the Howard League for Penal Reform. As mentioned in the previous newsletter, Social Work Department’s Dr Melissa Petrakis has won the Early Career Researcher’s publication award in the Social and Educational Research category for her research on consumer measures in research co-production with people experiencing severe and persistent mental ill health, as published in Asia Pacific Journal of Social Work and Development journal last year. Her research fills an important gap in health services research literature in determining appropriate ways to enact state and commonwealth frameworks to achieve recovery-oriented practice in mental health service provision. As well as coordinating the undergraduate and Masters units in Health and Mental Health within the Social Work department, Melissa is also a Senior Research Fellow in Early Psychosis and Mental Health with the Mental Health Service at St Vincent's Hospital (Melbourne). Her expertise in evaluating suicide prevention initiatives and early psychosis interventions in clinical and community settings is recognised internationally. Melissa’s research comprised the piloting of 2 measures to evaluate the recovery-orientation of mental health services with people with severe and persistent mental illness receiving integrated and co-ordinated care through the Adult Mental Health Reform Initiatives in Victoria. 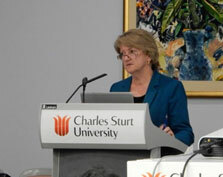 This was a service delivery partnership between clinical and community services (with Mind Australia), and a research partnership between consumers (with lived experience of mental illness), clinicians, management and research academics.“We sought to include people not as research subjects but as respected research collaborators with expertise by experience; people who are often marginalised and socially excluded in our society,” Dr Petrakis said. “Our findings confirm that people are experiencing positive changes in recovery-oriented practice in mental health services, with individualised goal setting and monitoring, practical assistance and encouragement, yet that there is still more to be done to support people in the areas of variety in treatment options, contributing to advisory boards, and support regarding sexuality, spirituality and intimate relationships." Four Monash University Social Work students are currently undertaking their placements at Women's Legal Service Victoria (WLSV) in Melbourne. Four Monash University Social Work students are currently undertaking their placements at Women's Legal Service Victoria (WLSV) in Melbourne. This organisation works with women facing significant barriers to justice, primarily with issues arising from relationship breakdown and violence against women. The placement is a pilot project and the students have developed a model and are trialing social work provision at the service. 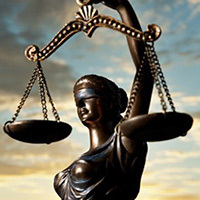 The project seeks to enhance the existing legal service and provide an integrated holistic support model for the benefit of women who are clients of the service. So far, social work students are gaining useful community service and legal sector experience, as well as working with a diverse range of clients and professionals and also contributing their ideas and skills to the organisation. The Social Work Service is delivered by social work students under the supervision of an experienced social worker provided by the Monash University Social Work Department. The student social workers have been supporting clients with their particular needs including; information and referrals, assessments, problem solving, advocacy, court support and preparation and counselling. The Social Work Service pilot project runs between October and December 2015. 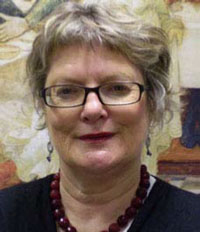 Margaret Alston is an academic at Monash University and has authored several books that focus on the role of farming women in Australian agriculture. Margaret Alston is an academic at Monash University and has authored several books that focus on the role of farming women in Australian agriculture. She has argued that Australian farming women have been neglected, ignored and silenced in mainstream narratives about rural Australian life and she has urged media, government and researchers to take more notice of what she calls the ‘hidden heart of rural Australia’ (1995). Margaret was active during the Rural Women’s Movement of the 1980s-1990s and her academic works have directly informed policymakers and encouraged rural women to continue lobbying and networking. She has been involved firsthand with a number of rural women's networks including the Women on Farms Gatherings, the Foundation for Australian Agricultural Women, and the Rural Women’s Policy Unit. Authorised by: Chief Marketing Officer, Strategic Marketing and Communications. Maintained by: FMNHS Webmaster Team. Last updated: Dec 2018.